Now available in Foox's web store: Foox 33-Cent Coins! 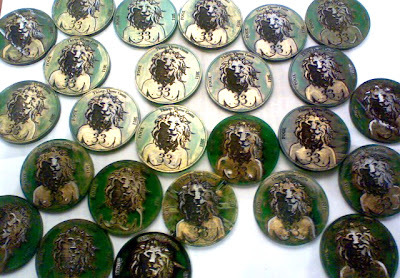 A natural extension of Foox's The Fifth Letter currency-style prints, these translucent green Foox coins were produced in very limited numbers (33 pieces to be exact) and each is hand-painted by Foox. No two coins are the same. They can be purchased here for €33.00 each. We're stoked to support Argonaut Resins with another exclusive release: a few of the 6 silver "Peace King" resin skulls from the Kings of Atlantis series will go up for sale tomorrow (Friday) January 21st at 8PM EST in our Argonaut Resins section. Each skull comes with a signed/numbered certificate of authenticity, a blind-boxed resin skull talisman magnet and custom-made packaging for both. Price is $100 each. Argonaut Resins really went all out with this project. 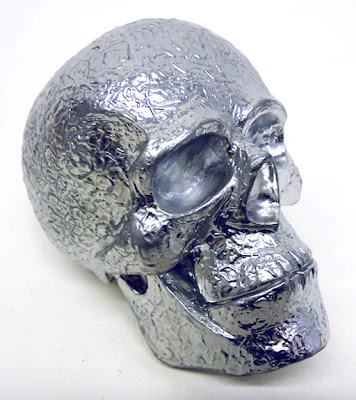 The execution is flawless, and despite being made of resin, these Peace King skulls shine like polished silver. Just amazing work coming out of the Argonaut Resins studio. 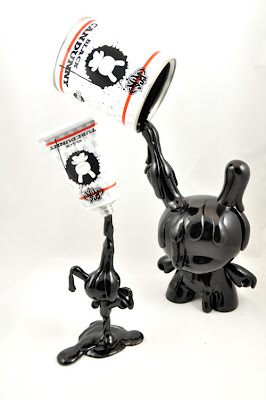 Our German friend and expert toy customizer VISEone has a killer series of customs going on based on Kidrobot's Dunnys in the 3 inch and 8 inch sizes, as well as Hello Kitty mini figures. These pieces are just amazing- click on over to VISEone's website to read more. "Not to sound corny, but the opening is felt like that old cliche about heaven, where you get there and all the people you ever loved are all in the room, together, celebrating your life. That made me happy." 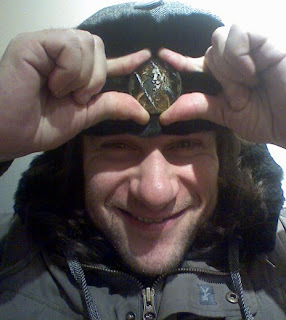 Huge props to Andy from ToysREvil for this really rare and frank interview with the Super Sucklord, who currently has a retrospective solo show at the Boo-Hooray Gallery in Chelsea. Click thru to the gallery's website for info on how to get there. The Sucklord is talking about his feelings? 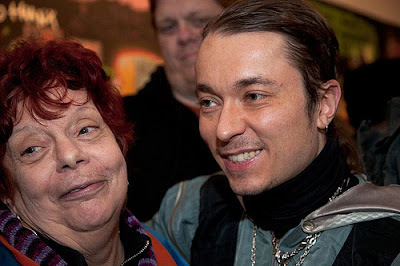 And he has a mom? You better read this interview because I really don't think you'll ever again get this much insight into the guy behind the Vectar mask. Toy2R's iconic Bear is revealed as the next figure in the 5" Mini Qee Collection. 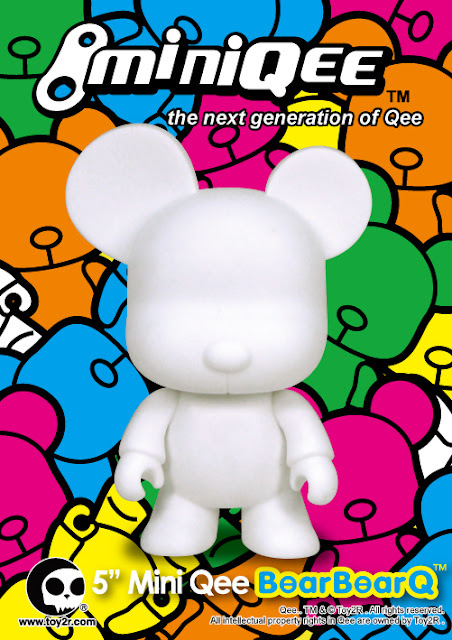 Keep your ears and eyes open for more details about the launch...February is going to be Qee!! Seriously, we're intimately involved in this launch so definitely keep checking our blog in the upcoming weeks for more info. In collaboration with Toy2R and Yoyamart, the Year of Qee is going to get kicked into high gear and you are invited. Stay tuned for more details in the coming weeks. 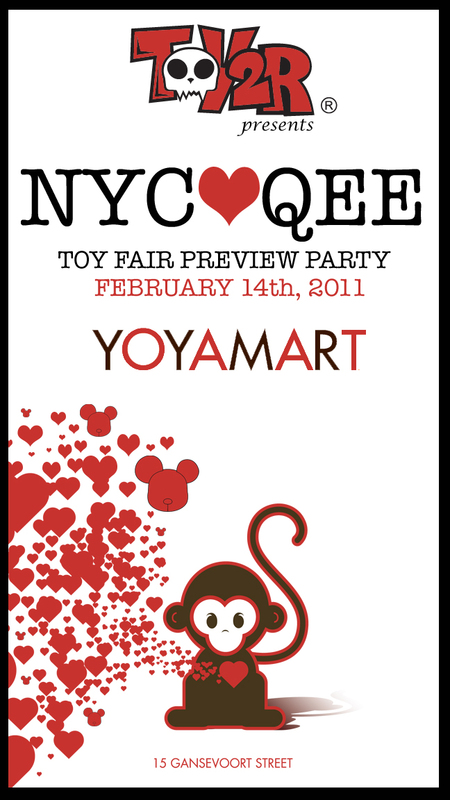 This will be an event you do not want to miss - Toy2R's 2011 product lineup, artists and fun during the week of Toy Fair - prepare to come out to see the next generation of Qee! Aarting sent us the artwork for their Designer Series 2 of the Blankie platform. Featuring designs from Obos, Marieta, Scave, Lakoneko, Ready2Rumbl, Frank Mysterio, William, William Walison, Incorrectly Guessing, Checha, Jhan and Mawsy, Blankie Series 2 will begin showing up at retailers in the fall of 2011! Until then, you can keep up with Aarting on Facebook.